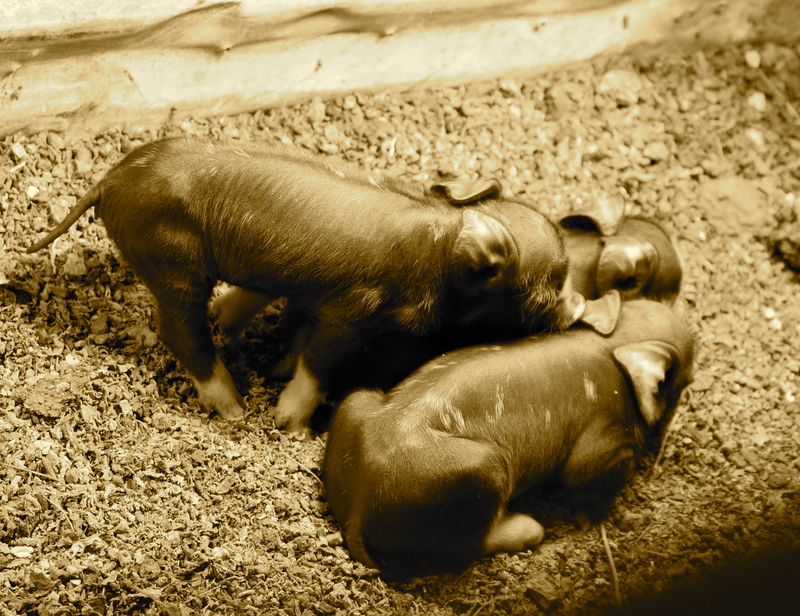 -We have 10 little Berkshire piglets running around. These 3 just finished nursing and are settling in for a nap. After reading this blog and speaking with Farmer Dave, I talked to my Dad about some new farrowing ideas. Even though Dad has been a farmer/rancher literally since the day he was born he listened to all the ideas, and we will be putting some of them into place today.